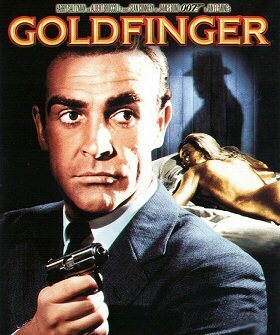 Sean Connery dodges the bullets and bowler hats as 007 is assigned to investigate the evil empire of Auric Goldfinger, a ruthless man with a dangerous penchant for gold bullion. Add a bevy of beautiful foes, plenty of memorable villains, a vast array of amazing gadgetry, and a spectacular finale in the vaults of Fort Knox - and you have the recipe for one of the most exciting and enduring episodes in the Bond series. Thanks to Richard for the alert.